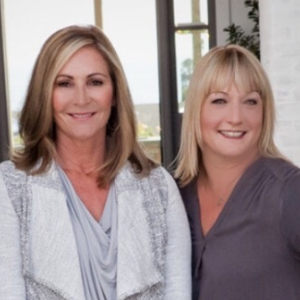 With a strong commitment to delivering outstanding client service, Kim Walker has built a sterling reputation for herself in Orange County's competitive luxury marketplace. A valuable source of information and guidance, Kim takes a tremendous amount of pride in helping her clients achieve their goals and dreams. Throughout the course of her career, Kim has developed an intimate understanding of the coastal area and its delicate market conditions. As co-owner of a highly successful construction company, she offers clients a rare level of expertise when it comes to the building process. Kim's thorough grasp of the real estate industry gives clients a definitive edge when it comes to maximizing the selling value of their property. A seasoned expert when it comes to a variety of real estate transactions, Kim is especially familiar in dealing with luxury estates. Having represented many high-end buyers, Kim understands the importance of confidentiality and discretion. Her high level of professionalism is commended by her large base of repeat clientele. Her partner, Mollie Butcher, who is also a longtime resident of coastal Orange County, including Laguna Beach, Corona del Mar, and Newport Beach, has intimate knowledge about South County that can only come from spending decades navigating its enclaves. Mollie uses this knowledge to guide her buyers into the perfect neighborhoods for them and to effectively market the houses she places on the market. Mollie is known for her outgoing and personable approach to real estate, which makes her a joy to work with. Clients trust her with their transactions because of her dedicated and principled approach to her work as well as her meticulous attention to detail. Over the past 15 years, Mollie has bought, remodeled, and sold numerous houses, giving her valuable investing experience that enables her to help savvy buyers find the most profitable homes, whether they are looking for a permanent residence or are purely interested in flipping the home. She is very familiar with the local market and is skilled at seeing the potential in homes that require updating. These qualities—combined with an unwavering dedication to delivering the highest possible level of quality customer service—render Mollie one of the industry's most coveted assets.
" They were so professional and knowledgable about the area and the market. I am so grateful I found them. Easy to work with and always available. They were organized, thorough and efficient. " "Amazing team for your real estate needs. Truly treat you like Family and make an exciting (and at times stressful) process easy to manage. I would highly recommend this team to anyone looking to buy a home or to sell their existing house." "They are a great team. Kim was attentive and was always one set ahead of everything that needed to be done from start to finish. We were very impressed with the whole process. seamless and painless. Thank you for keeping it so simple. " This sprawling 1.2 acre view bluff-front estate overlooks Newport Harbor, the ocean and sunsets. It is uniquely situated between the Village and Irvine Terrace. The property is two legal lots with one residence currently on both. Developers note: with the removal of the house, both parcels can be developed independently per the city of Newport Beach (no subdivision required). The elevated site sits well above its neighbors adding to its privacy, light and views. Each parcel will easily accommodate a new home larger than 15,000 SF and this property is NOT subject to the single-story height limitation of Irvine Terrace. The location is also convenient to the village of Corona del Mar, Newport Center, Balboa Island, and is only minutes from John Wayne Airport. For those in search of a perfect ocean-close estate, this is Orange County’s finest. Steeped in history, the landmark “Blue House” surveys all of the activity in the world’s most picturesque pleasure harbor. In the 1930’s, this specific parcel was culled from the extensive holdings of the area’s largest ranch to become the site of a family home overlooking the newly christened harbor. A 200’ private drive leads to the motor court. The main house sits at the peak elevation and is complemented by a guest building, service quarters, an indoor pool, and a regulation lighted tennis court. Built as an homage to the grand winter retreats of Bermuda, the modest residence is graceful and undisturbed. Surrounded by broad lawns and expansive gardens, the property exudes an enduring ambiance of relaxed privacy as was originally created here decades ago.